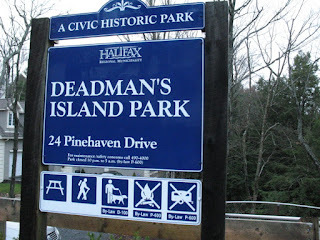 I drive by a sign for Deadman's Cove everyday on my way to work - and yesterday I finally took the time to drive down and see what the park is like - I had no idea what I was going to find. It looks like it's a green space that was built around a housing development - but a housing development for million dollar houses, so it's a pretty nice park. There are more garbage cans in that little park than there is in the whole of Seaview Park. This is a wide shot of the water view from Deadman's Island park - looking out towards the Armdale Rotary. 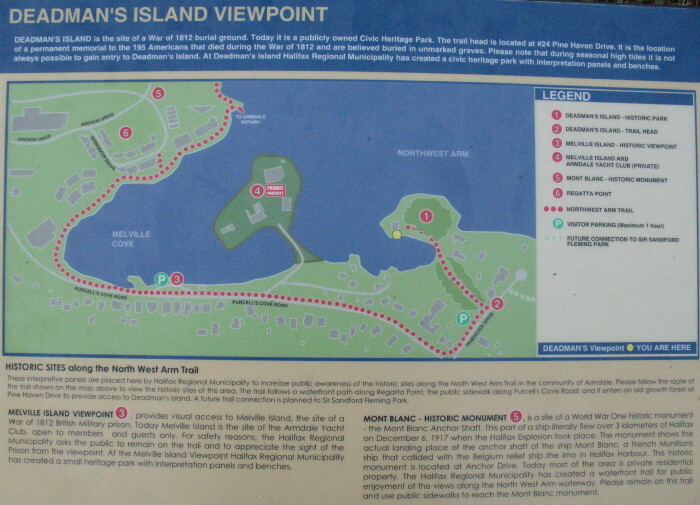 This is one of the explanation boards inside the park. 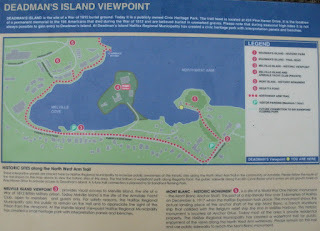 It explains where the walking trails are. 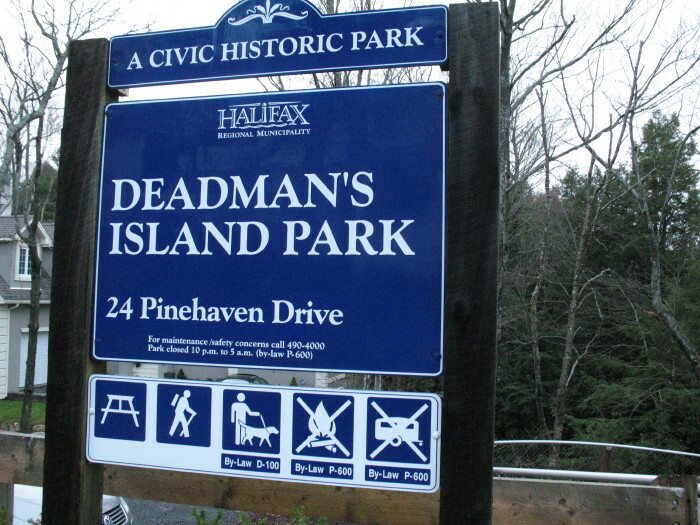 You get to the park off of Pinehaven Drive which is off of Purcells Cove Road - there's no parking, you have to park on the street, which is a cul-de-sac. It's definitely an on leash park because you're basically in the back yard of all the million dollar homes that back onto the park - which also makes the place slightly uncomfortable - but if no one's home at a couple of the houses, you might be able to have a free bath in a very nice big jacuzzi, because there's a couple of them right off the path. Now that would be sweet!